The Former Yugoslav Republic of Macedonia (FYROM) sent a so-called note verbale to the Greek foreign ministry on Wednesday informing it that it has completed all the legal conditions required by the deal signed between Skopje and Athens to end a decades-old name dispute. The note paves the way for the Greek Parliament to debate and vote on the Prespes accord which will change FYROM's name to North Macedonia. 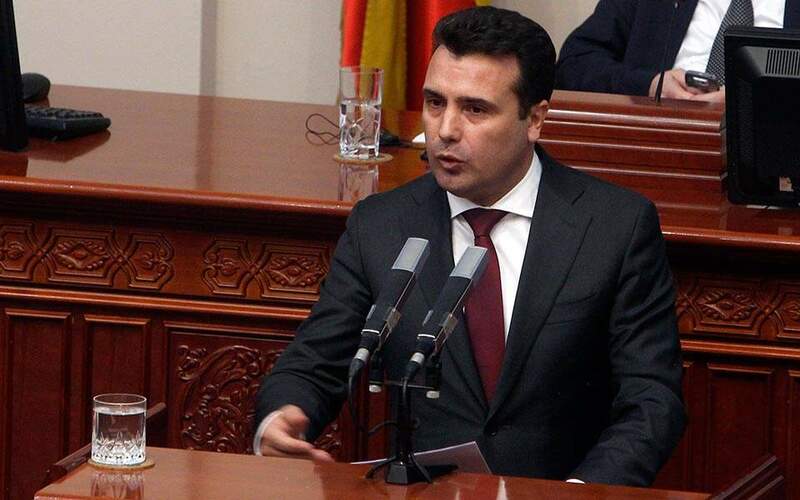 “The Greek side is informed that the Republic of Macedonia has fulfilled the internal legal conditions required for the entry into force of the final agreement and that on 11 January 2019, the Assembly of the Republic of Macedonia adopted the Decision for the Promulgation of Amendments XXXIII, XXXIV, XXXV, XXXVI to the Constitution of the Republic of Macedonia and the Decision for the Promulgation of the Constitutional Law for the Implementation of Amendments XXXIII to XXXVI to the Constitution of the Republic of Macedonia,” the note reads. Earlier in the evening, Prime Minister Alexis Tsipras related the news to Parliament, during a tense debate on a no-confidence motion which he won with 151 votes.